Loftus Wool Fair was our first pop up event to capture early memories of wildlife in East Cleveland. With our display boards, images, maps and Oswald the otter we attracted a good number of visitors with really strong wildlife memories. Here is a short selection of memories. “I remember as a small child my father seeing an otter in Skinningrove Beck early one morning on the way to the Pit. About 80 years ago I saw water voles in Loftus Wood. There were lizards in a field near Liverton Mines”. Eva aged 84. 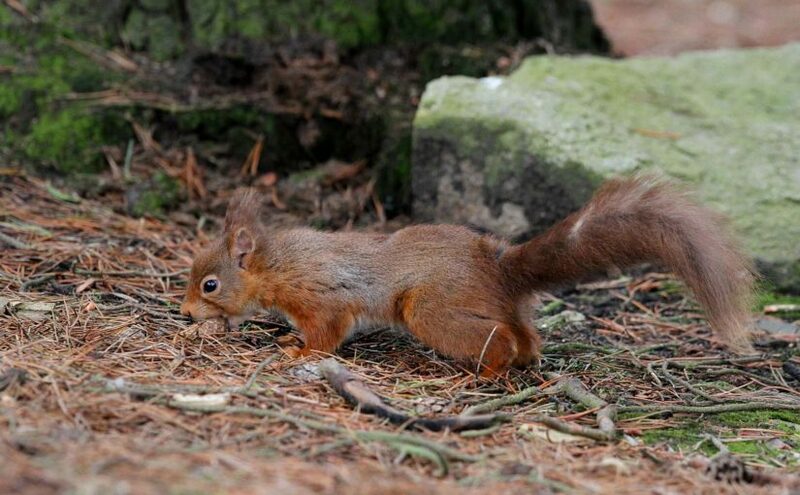 “I remember seeing a red squirrel that my granddads spaniel had caught at this end of Espinners Wood.” Cynthia aged in her 70’s. “In the 1940’s my sister was bitten by an adder on Micklow Lane, Loftus, just above the old water mill and was taken to the doctors. In the 1950’s I saw red squirrel in Dark Wood which was private but we used to climb over the gates.” Anne born in 1938. Thank you to everyone who shared their memories and to Judith for volunteering her time.